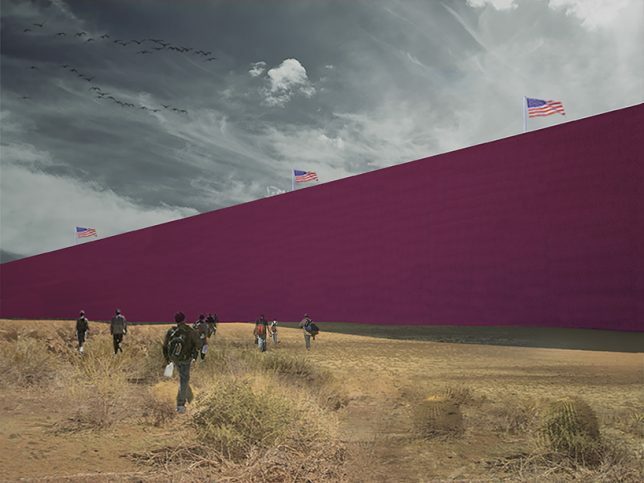 Donald Trump has promised that if he becomes President of the United States, he’ll build a “beautiful and impenetrable” wall and force Mexico to pay for it – so a group of Mexican architects have taken on the task of designing it for him, too. 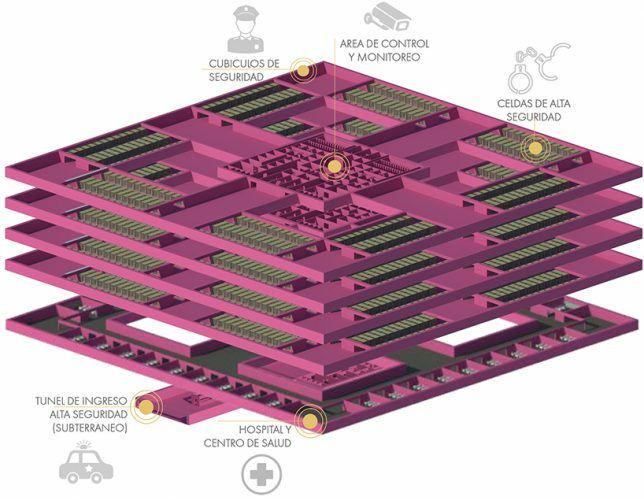 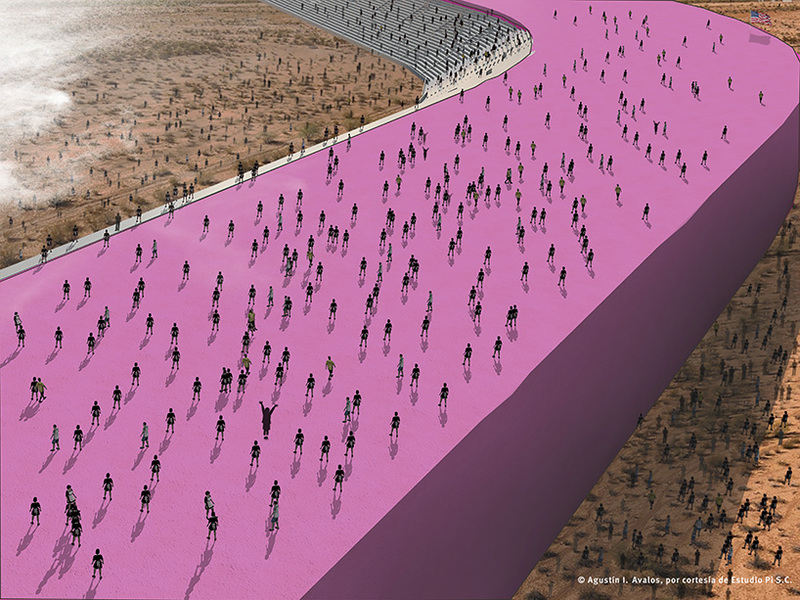 The firm Estudio 3.14 has envisioned the “gorgeous perversity” of the proposal in a vibrant shade of neon pink, a solid architectural ribbon running from the Pacific Ocean to the Gulf of Mexico and packed full of prisons. 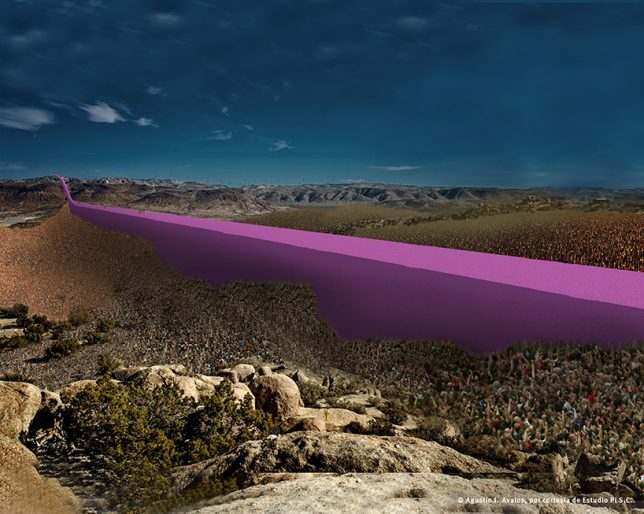 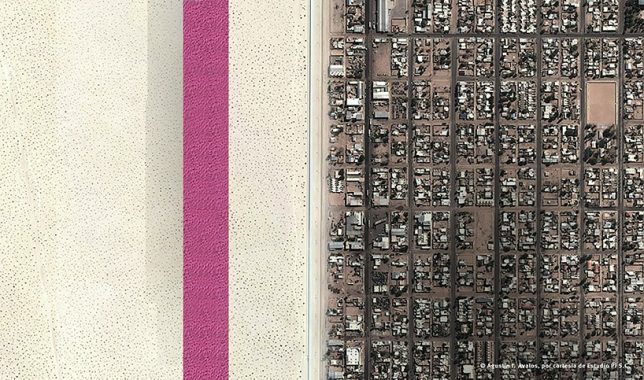 Estudio 3.14 presents a series of renderings of the structure in the various types of border landscapes one finds along that 1,954-mile stretch. 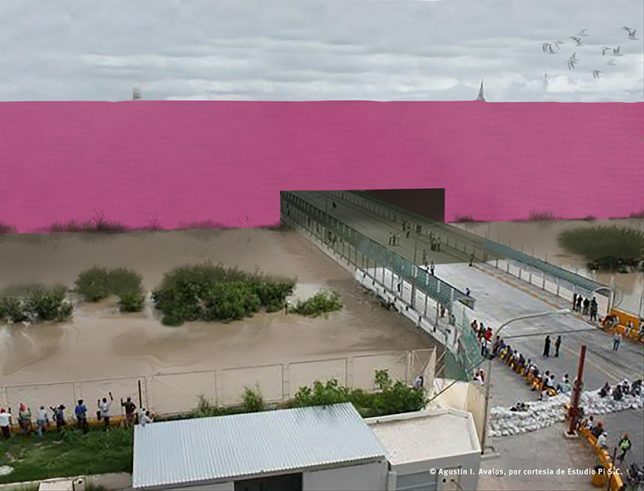 The wall is painted pink in honor of Pritzker Prize-winning Mexican architect Luis Barragán. 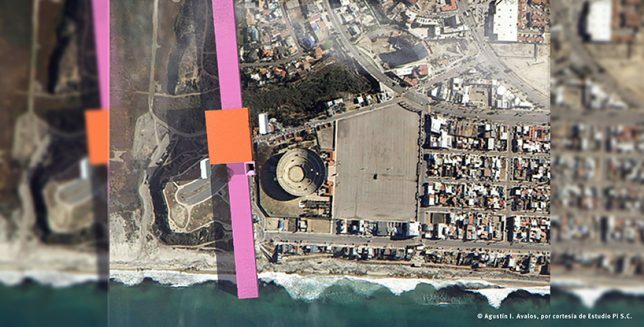 To understand exactly what the architects are getting at with this project, it’s best to hear it described in their own words.